To be famous and be admired by total strangers can be very dangerous. Her little girl has always been her princess. In fact, she was so lovely, Melissa entered her toddler into child beauty pageants, making her a star from an early age. But her dreams and hopes are shattered one October morning, when Melissa watches a breaking news story on television. A young girl has been filmed by bystanders, committing a brutal assault in broad daylight in a downtown Vancouver Starbucks…and it looks like the girl is her daughter. From this moment on, a story unfolds, so shocking, that it will hold you captive and you will find yourself reading faster and faster into the night. She wakes up earlier than usual. It’s not even eight yet. The apartment feels empty, but that doesn’t surprise her, because it is empty most mornings. To make sure, she gets out of bed, opens the curtains, waddles down the narrow hallway, stops at the second bedroom and listens briefly. Not a sound. Of course not. She would have heard the flat door open, no matter how late. She is a light sleeper. The kitchen greets her with familiar comfort. Welcome, my lonely friend. Make yourself a cup of tea. Sit down by the window. Look out, check the weather, think about what to wear for work. Stop listening. Nobody is home but you. Just another day in the big city. Vancouver is still sleepy. Yawning and slowly stretching like a lazy lion, rubbing its exhausted eyes, waiting for the helpers to brush the filthy remains of last night’s excitement from the concrete floor of its den. The water kettle switches itself off and she pours the boiling water over the tea bag and waits one minute, standing in front of the kitchen counter. It has to be exactly one minute, no point in doing anything else but stare at the twirling surface inside her cup. Sixty seconds later–the second dial on her kitchen clock is within her periphery—she discards the bag, heaps three generous spoonfuls of sugar into the cup, followed by so much cream that the tea instantly cools to drinking temperature, and sits down at the kitchen table. Still thinking it’s just another day. A gentle traffic hum outside, no sound inside her kitchen. Correction: no sound inside her flat, this two bedroom, one bathroom borderline apartment. Borderline because its location touches a good neighborhood and the Eastside. The street she lives on stops the filthy guts of downtown spilling over into suburbia. Her kitchen window points toward the high-rise monuments of downtown Vancouver. Very pretty at night, not so attractive at daytime when the not-so-high and not-so-modern buildings that envelope the skyscrapers become visible. She doesn’t want to look at the decaying grey buildings any longer that provide a battle ground between city planners who want to sell it to developers and Eastsiders who have occupied them. Just another day. And it is so quiet. Melissa turns on the TV, not realizing that it is exactly eight o’clock now. The channel is set on CTV and there is a ‘Breaking News’ banner flashing in bright orange below the female morning anchor. She increases the volume. The excited voice of the lady anchor fills her kitchen. She takes a sip of her sweet, sweet tea and leans back a little. An autumn gust blows hair over the reporter’s face. She nearly loses her microphone, trying to control the strands with both hands, but fumbles it back into position when she realizes that the camera is focused on her again. One side of her pretty face is completely covered with hair. It looks ridiculous and Melissa catches herself thinking the reporter would look a lot prettier if she had a different hairstyle. The reporter’s voice travels along Melissa’s attention span and loses its grip. Background noise quality. She likes that. And God, her tea is good. The clip starts. The picture is shaky, the filmmaker hassling for a good position between other coffee-shop customers who have jumped up to look what is going on in the middle of the room. The back of shoulders and heads pop in and out, screams of horror and confusion can be heard. Their unedited sound quality provides an unnerving authenticity to the unfolding drama. An arm rises up in the air and down again, in kind of a wood chopping motion. Up and down, in one swift move, no hesitation whatsoever. In fact, the chopping goes on. Up and down, up and down—accompanied by ‘Oh my God’s’ and ‘Oh no, oh no’s’. The filmmaker edges closer, seems to get up on a chair, because he is above the scene now, holding his iPhone or whatever device he’s got, high above the center of the customer-circle that inched away from the dangerous situation. The victim of the attack is on the floor now, mercifully blurred by the rapid movements of the inexperienced cameraman, or maybe by CTV’s editing. The attacker, the young woman, wearing a black hoodie, is over her and chops into her with such vengeance that Melissa can feel the force of her hatred, furious and powerful. The victim is trying to protect her face and chest with crossed hands. The mad attacker continues to stab her wherever she can—face, arms, torso, it is impossible to make out exactly in the shaky clip where her knife slices into. Bodies pop in and out of the picture and mercifully block most of what is going on. Several of them finally muster enough courage to intervene. The picture goes even more shaky and blurry. Then the anchor speaks again. the anchor’s voice fades, just like the reporter’s before, because all of Melissa’s focus concentrates on what she sees on the screen. Meanwhile the filmmaker has managed to muscle himself closer to the group of guys who have pulled the young women off her victim and have now pinned her to the ground. Her face appears. The filmmaker zooms in. She smiles victoriously straight into his camera, as if she has achieved a very special feat. Melissa is standing now, holding on to her cup of tea, frowning with the exhausting task of connecting what she sees on the screen with the reality of her life. It can not be. It can not be. But it is. The tea cup slips from her weak hands, falls to the floor, spills its content on the cheap vinyl kitchen floor before rolling under the table. It is. It is…her daughter. Birthdays of a Princess is a heart wrenching and frighteningly realistic look at what can happen when the evils of child exploitation and parental neglect are allowed to go unchecked. Though it is quite clear that young Tia is the villain in the opening pages of this saga; it is not until much later that readers learn the true extent of her victimization. If not for the great care taken by the author in slowly and methodically taking readers into the heart of the dysfunction which in essence serves to create Tia; it would be very easy to close one's mind to her plight, write her off, and close this book. Because readers take the journey of discovery with her however, we are allowed the peeks behind the closed doors, under the beds, and in the closets. We can see the monsters of abuse and manipulation and hear her unanswered cries for help. This is a very difficult story to read, but very much worth the time. At it's heart, this is a cautionary tale. A warning for adults and society as a whole that childhood is precious. A time to be safeguarded by adults and enjoyed by children. If this doesn't happen, society as a whole pays a grave and exorbitant price. Born and educated in Germany, Helga left her home country when she was 18 to travel the world and experience the magic of life she was passionately reading about. She spent the next 15 years in exotic places like India, Thailand, Australia and Hong Kong, where she worked her way up into excellent managerial positions in large international companies. To achieve this she had to further her education and enrolled at night classes at the 'Chinese University of Hong Kong' for her Diploma in Management Studies. Love eluded her for many years. She was nearly 40 when she finally met her dream man and settled in Canada, where she now lives, neatly tucked away in the wilderness. 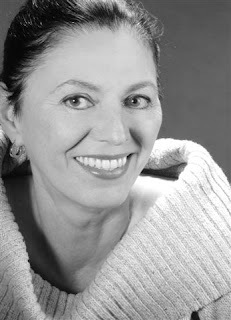 She has previously written several suspense novels which have been published in Germany. Her first novel written and published in English is called. ‘Section 132”. A thrilling fact-based page-turner about a young girl forced into a polygamous marriage that has received countless 5-star reviews. 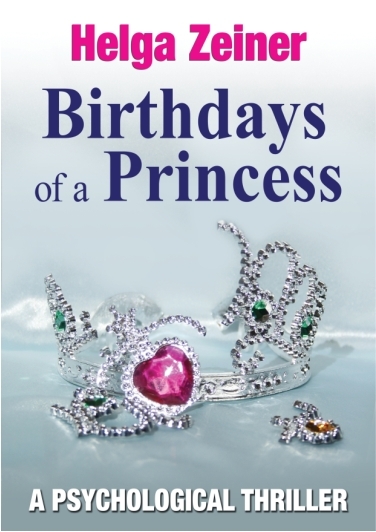 Birthdays of a Princess’ is her second novel and will be published in June 2013. Fantastic review! I really enjoyed reading your take on this title because I also read it and found it to be a page turner. Thank you for sharing. 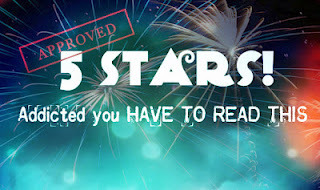 it is always a thrill to get such an in-depth review, specially if it comes with a 5 star endorsement.I hope it will bring the book close to many readers and make them aware of the deep and dark secrets behind the doors of child pageantry. Thank you for taking the time to read and review my novel. Your work is extremely valuable, where would we author's be without honest reviews.